In a new update, Instagram has started to allow users to respond to pictures in direct messages that use images as a response. While this may sound complicated, it is actually something that is fairly simple and had the intention of simplifying interactions between users. The feature makes it easier for people to specify exactly what their direct messages are in response to by creating whatever you’re responding to as a sticker that will then go into your reply image. The feature is one that provides a person with a greater amount of versatility when responding to images on Instagram. This update is an addition to the direct messaging that already exists within Instagram. To use the new feature, simply tap on the reply button on the photo or video that you would like to reply to. This image will then be turned into a sticker that you can then overlay your reaction on. For example, you could have the sticker version of what you are responding to and then in the background you could be making a face showing your response to this image. You are able to further use this sticker in your responses by drawing on the sticker itself and moving it around to fit with whatever your response is. By allowing further editing, Instagram is providing people with a further way to interact with the image and express their response more clearly while staying fairly visual and much more fun. By adding this feature into Instagram, the hope is that conversing with friends via Instagram will become something that is a lot more fun to do. The visual elements of this new feature show ways in which Instagram is further competing with Snapchat. 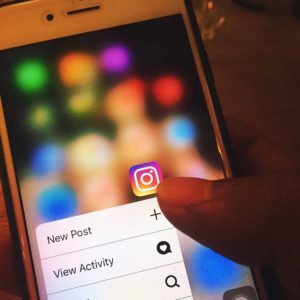 If people are more attracted to Instagram’s version of communicating through images, they may be less likely to use apps like Snapchat in the future.